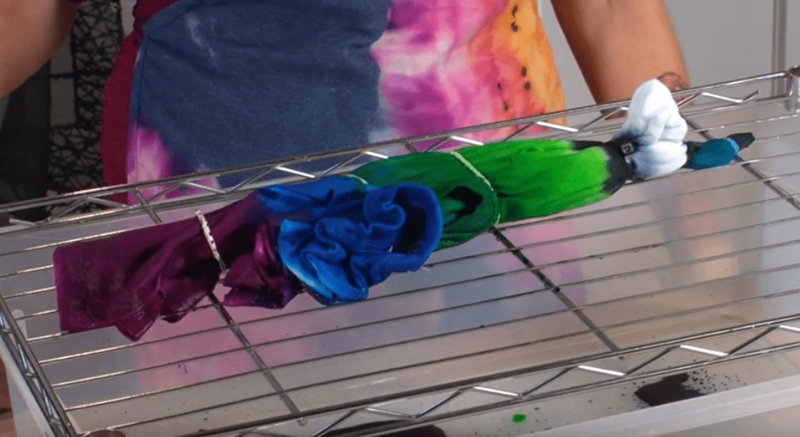 Wash your shirt and leave damp. Lay it flat on your work surface. Create an eyeball shape on a piece of scratch paper and cut it out. Make sure it's the size you want the design on your shirt to be. Fold the shirt in half lengthwise, then fold the eyeball cutout in half and place the fold of the eyeball shape on the fold of the shirt. 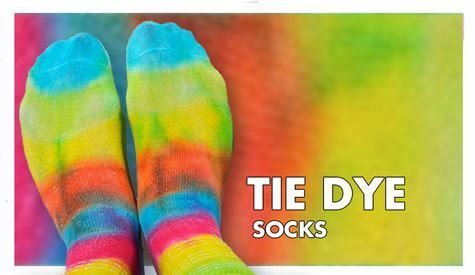 Trace around it with a washable marker. 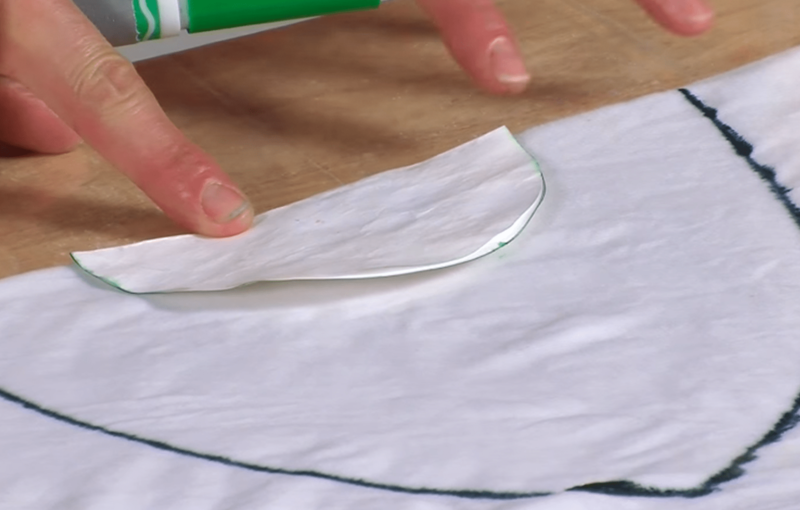 Create a circle pattern on another piece of scratch paper and cut out. This will be the iris of the eye. 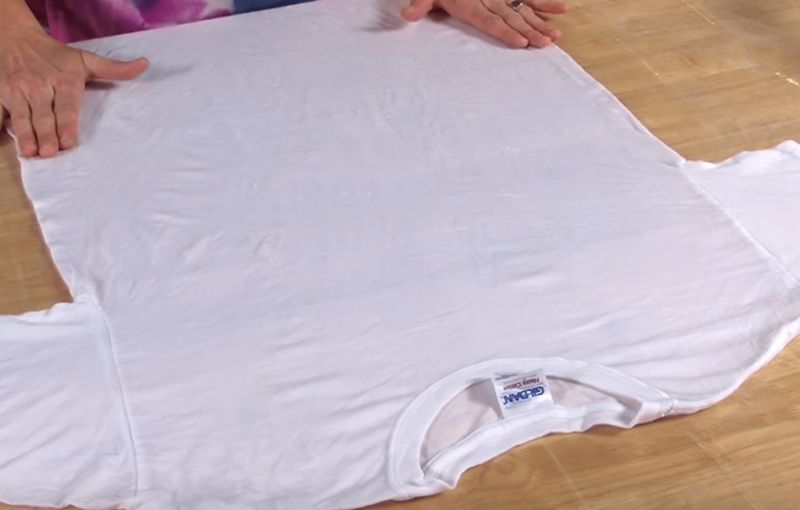 Fold in half and place the fold of the circle on the fold of the shirt in the center of the half-eye shape. Trace with a washable marker. Use the washable marker to sketch a smaller half circle within the iris of the eye. This will be the pupil of the eye design. 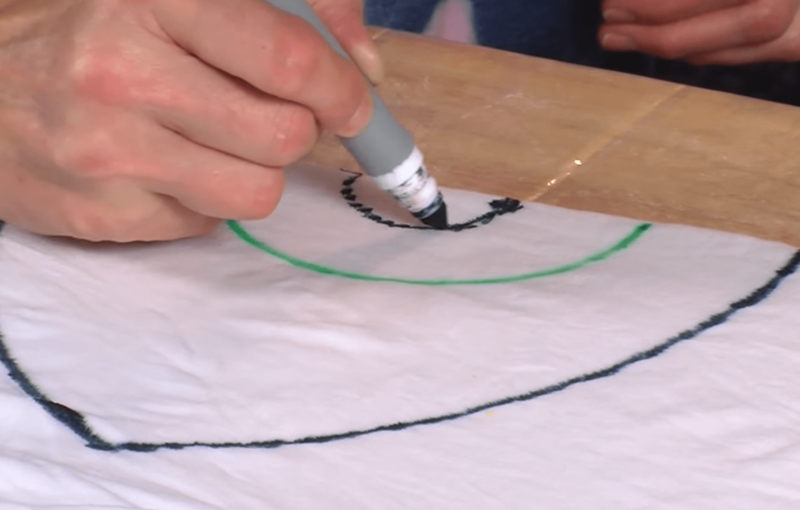 Begin by pleating the smallest circle (the pupil), keeping the pleats along the marker line. Secure tightly with a rubber band. Next, pleat along the second line (the iris) and secure tightly with a zip tie. Pleat along the final marker line and secure with another zip tie. 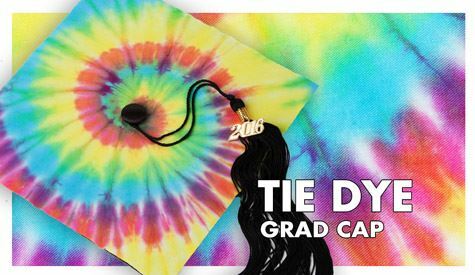 Secure the remainder of the shirt with additional rubber bands if you would like to create additional sections of color beyond the eyeball design. You can add as many as you like! 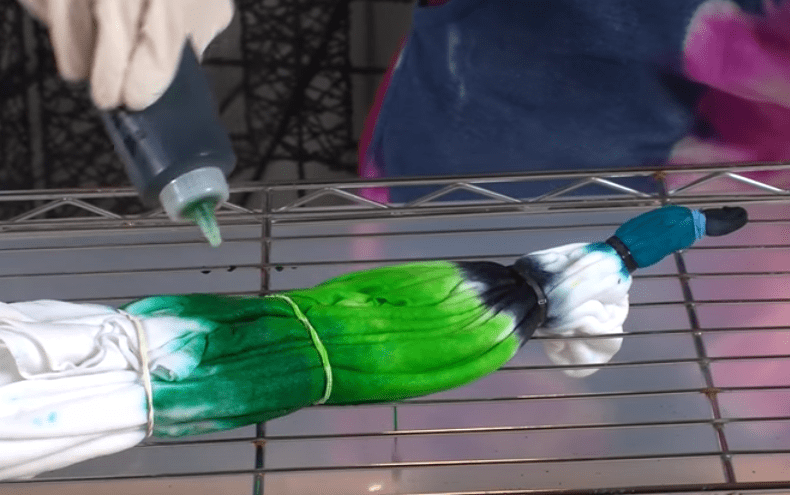 Add black dye to the very tip of the shirt (the pupil section). 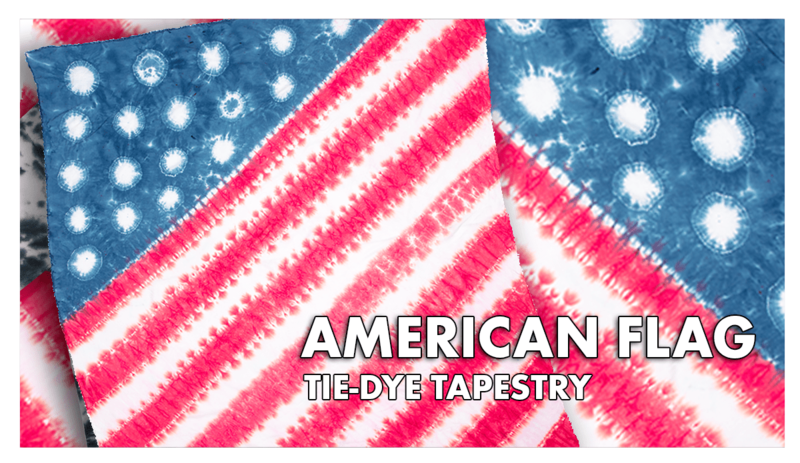 Add a stripe of black dye along the third binding. 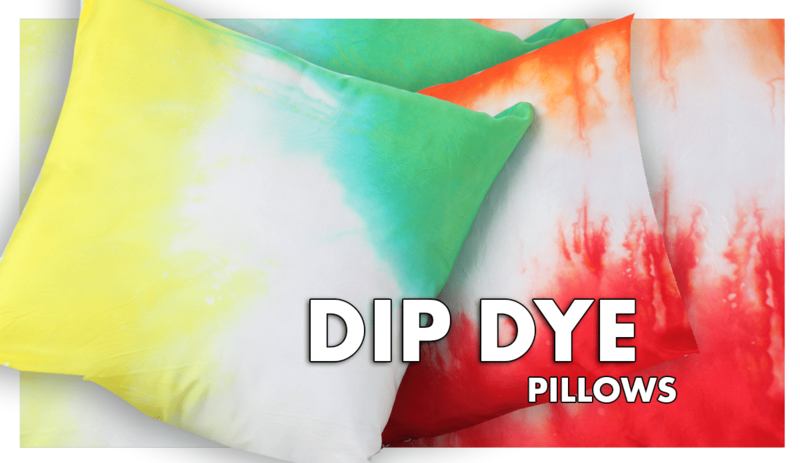 This will create the accent around the eye. 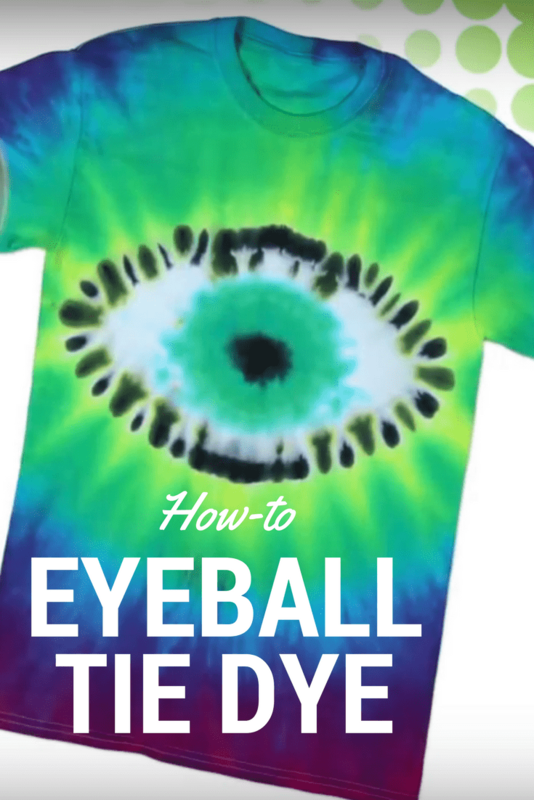 Add whatever color of dye you would like to the iris section of the eye. 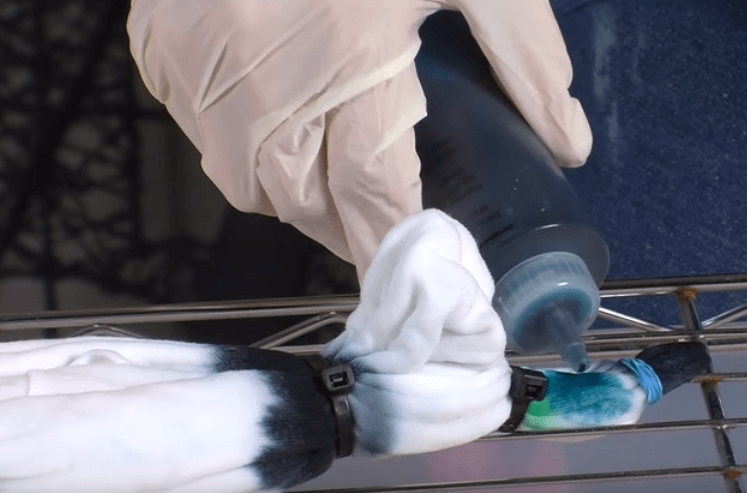 Add additional dye colors between the bound sections of the shirt to your liking. 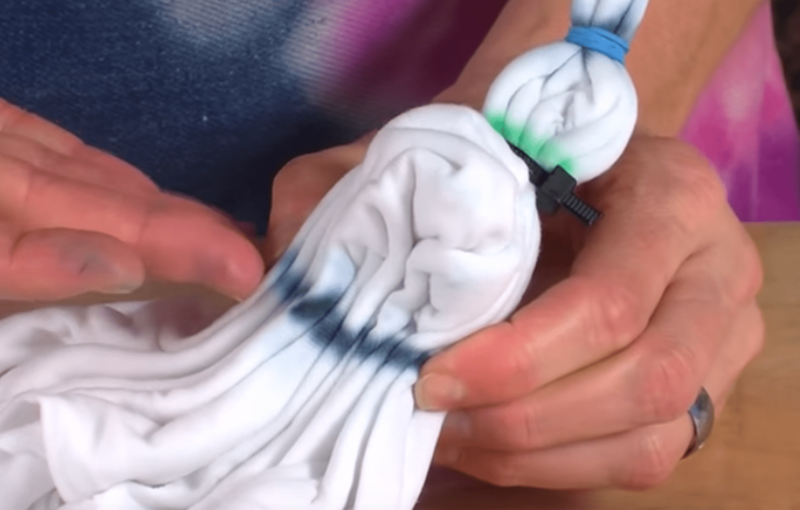 Once all of the sections have been dyed, cover the shirt with plastic (or secure in a plastic zipper bag) to keep damp and allow to set 6 to 8 hours or longer. 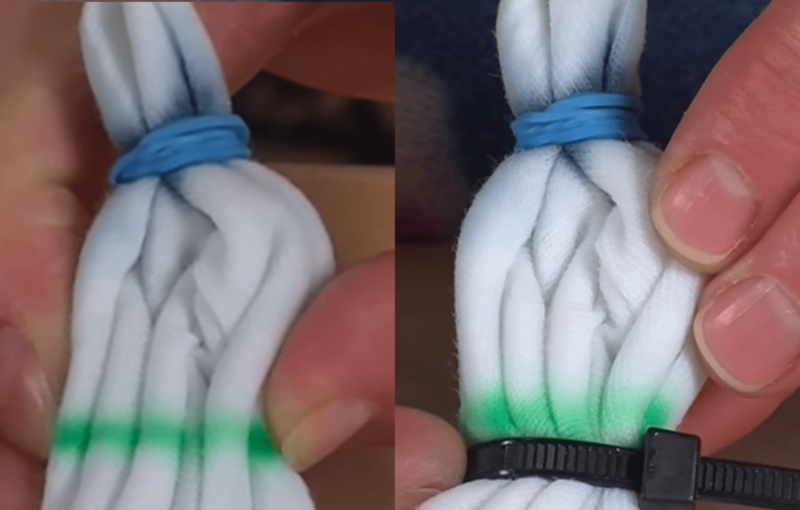 Rinse, cut off the zip ties/rubber bands and launder according to the dye instructions.